Satoshi Nakamoto is the creator of Bitcoin (and the writer of its original whitepaper). The answer to this question has eluded amateur sleuths and professional investigators alike for years. Nakamoto invented Bitcoin in 2009, and we have the blockchain records to prove it - but beyond that, little is known about the cryptocurrency’s enigmatic creator. In fact, it’s not even clear whether Satoshi is an individual at all – it’s entirely possible that the name is simply a pseudonym for a group of developers or cryptographers. In addition to drafting the original Bitcoin white paper, Nakamoto is responsible for driving many of the key breakthroughs that took place in the early days of Bitcoin. Universally regarded as the founding father of Bitcoin, Nakamoto helped create the very first blockchain database, and also deployed the very first working copy of Bitcoin in 2009. Nakamoto’s role as the first Bitcoin miner is also a matter of scrutiny, as public records indicate that his known addresses contain around 1 million Bitcoins - which, at current market value, would almost certainly make Nakamoto one of the richest people in the world! The intense interest in finding this mystery billionaire has gripped the imaginations of many, but Nakamoto himself remains elusive. We may never find out who he is. Numerous in-depth investigations have been done on Nakamoto’s true identity to no avail, and although some clues have been found, nobody has been able to reach a conclusion. Making a positive identification more difficult is the fact that after creating Bitcoin, Nakamoto effectively went underground, and nothing more has been heard from him since 2009 (the last time recorded communication from him was tracked). On a global networking forum, Nakamoto originally claimed to be a Japanese man living in Japan, born in 1975. The white paper outlined Bitcoin’s underlying technical principles and described the operational functionality of the Bitcoin network itself. In early 2009, Nakamoto published the very first version of Bitcoin’s source code on Sourceforge. Later that year, Nakamoto created the BitcoinTalk forum, and posted the very first message on the site under his pseudonym, satoshi. Nakamoto continued to work on Bitcoin’s source code and released updates to the protocol until mid-2010, when he handed over control of the network’s source code to legendary developer Gavin Andresen, who then began to lead development efforts on the project. He was rarely heard from once Bitcoin’s source code had been handed over to Andresen. Earlier this year, the world received a brief dispatch from Nakamoto in the form of a book excerpt purportedly written by him, but even that piece is dubious in origin. After years of searching, Satoshi Nakamoto has become a near-mythical character in crypto lore, and hundreds of analysts, researchers and journalists have made extensive attempts to reach him (or her, or them) to no avail. Nakamoto’s identity has already become one of the most enduring mysteries in tech, but it’s also a story of democratization and innovation. Could these people be Satoshi Nakamoto? Members of the crypto community have been debating on the true origins of Satoshi Nakamoto for years. Opinions remain divided on who is the “real Satoshi” - but after sifting through hundreds of potential Satoshis, most in the world of crypto seem to agree that it’s plausible that Nakamoto may be one of the following people. Is Nick Szabo Satoshi Nakamoto? Despite repeatedly denying that he is in fact the creator of Bitcoin, there’s no doubt that legendary computer scientist Nick Szabo meets the profile. In many ways, Szabo was a man ahead of his time, and is widely credited for the creation of “Bit Gold”, a predecessor to Bitcoin that was one of the first examples of a truly digital currency. In what many in the crypto community saw as a possible attempt to avoid being identified as Nakamoto, Szabo reportedly backdated a blog post related to Bit Gold to a date after Bitcoin was actually launched - leading some to believe that the enigmatic computer scientist is in fact Nakamoto himself. Is Hal Finney Satoshi Nakamoto? Most of the suspicion that Finney was Bitcoin’s creator rests on the fact that the former PGP developer actually received the very first Bitcoin transaction ever made from Nakamoto himself. Finney was one of Bitcoin’s first regular users and was highly active on community forums during the cryptocurrency’s early days. Finney was well-known to be an ardent supporter of cryptography and invented one of the first proof-of-work systems (which later proved integral to Bitcoin’s core functionality) in 2004, more than five years before the cryptocurrency made its public debut. Finney repeatedly denied he was Satoshi Nakamoto, but news organizations and journalists continued to come calling until his tragic death in mid-2014. Nakamoto or not, Finney was undoubtedly a key contributor to Bitcoin’s development in the early days, and his legacy will continue to live on. Is Craig Wright Satoshi Nakamoto? For all of the suspected Nakamotos who have denied their supposed roles in the founding of Bitcoin, at least one computer scientist has taken on the mantle of Nakamoto from the start. Australian Craig Wright has claimed to be the creator of Bitcoin for years. In 2016, he purportedly signed several messages with some of Bitcoin’s earliest cryptographic keys in a bid to prove his identity to the BBC and the Economist. Critics then argued that the keys in question were simply re-used from earlier transactions, and did not in and of themselves prove that Wright was Nakamoto. Later, Wright claimed that he himself was not Nakamoto, but that Satoshi Nakamoto was actually a team of individuals - of which he was the leader. Other individuals have said they recall meeting Wright at various conferences, where he introduced himself as Satoshi Nakamoto. Wright remains one of the key suspects in the ongoing debate around the persona behind Satoshi Nakamoto. Is Dorian Nakamoto Satoshi Nakamoto? The longtime engineer repeatedly denied being the creator of the cryptocurrency. Interestingly, Nakamoto lived just down the road from fellow Nakamoto suspect Hal Finney for years, leading some to believe that Finney was indeed the cryptocurrency’s creator, and that Dorian Nakamoto himself was merely the inspiration behind the now-famous pseudonym. Finney denied this, but the coincidence is too intriguing for some to let go. Ironically enough, Dorian Nakamoto has since become one of the many public faces of Bitcoin, and the once-retired physicist now travels the globe speaking on the power of cryptography and how cryptocurrency has the potential to democratize access to financial markets. Will we ever know who is Satoshi Nakamoto? Despite all the evidence online, it still isn’t clear who (or what Nakamoto) really is. Analysis done by crypto researchers has revealed that although Nakamoto claimed to be Japanese, it’s unlikely to be the case, as his forum post history during Bitcoin’s early days replicated a timezone more likely in Europe or North America. In addition, most of the language Satoshi used in his early forum posts seems to use fluent British English – also uncommon for most people with Japanese as a first language. 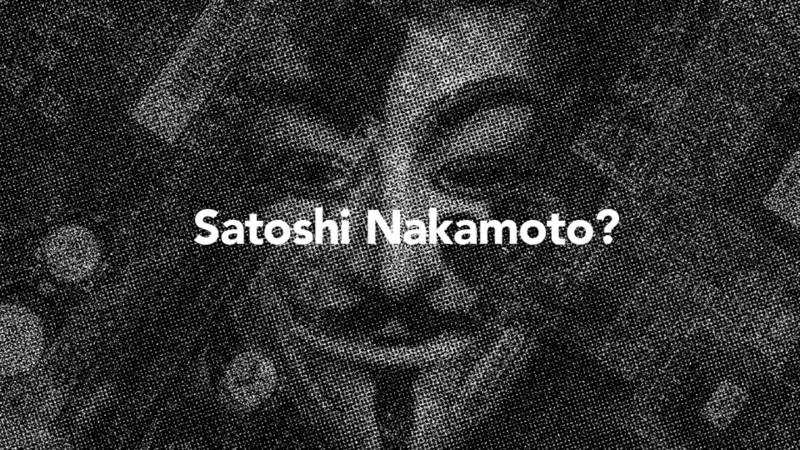 In total, dozens of individuals have come forward or been identified as the “real” Satoshi Nakamoto, but barring an unforeseen revelation from within the crypto community, it’s increasingly possible that the world may never know Satoshi Nakamoto’s true identity. With the creator of modern crypto anonymous forever, a new generation of creators could spend time working on the technology itself, rather than focusing too much on who got the things started.